We are extremely excited to announce our new partnership with Sesame Motor Corporation! We can now add AC Induction Motors, AC Reversible Motors and Speed Controlled AC Induction Motors to our ever-increasing product portfolio. With our new partnership with Sesame Motor, we aim to provide a quicker turnaround and a better price than any competitive product on the market. 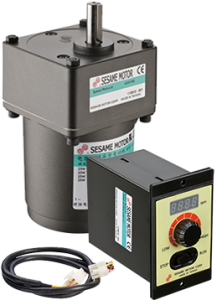 Sesame Motor Corporation was founded in 1990 as a manufacturer of motors and gear reducers. Sesame Motor has spent over 20 years concentrating on motor and gear reducer manufacturing with its efforts and innovation to obtain constant growth. Sesame Motor uses world class manufacturing and Enterprise Resource Planning system to build AC/DC motors and precision gear reducers in their new factory built in 2009. Sesame Motor continues to be one of the leading manufacturers in the motor industry. All of Sesame Motor's products are engineered to the highest precision and quality requirements, resulting in large market share and an excellent reputation in the power transmission industry. 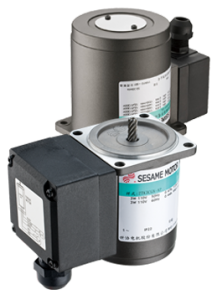 Sesame Motor's exceptional quality has been widely used in automation industries all over the world. 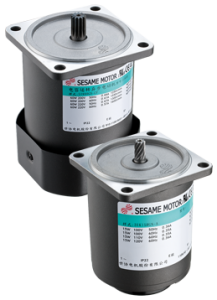 Sesame Motor products are CE, CCC and UL certified and the company is ISO9001 and ISO14001 certified.